Paz A. Bowe, 69, of Chippewa Falls, died Friday, March 29, 2019 at Mayo Clinic Health System, Eau Claire. 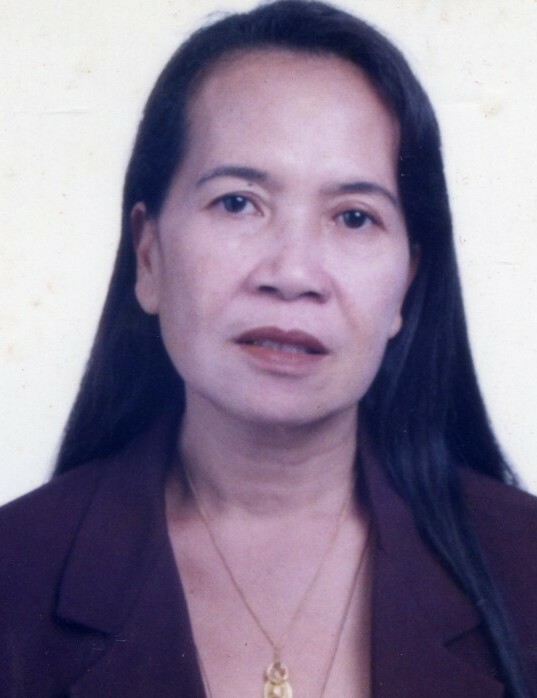 She was born February 25, 1950 in the Philippines to Benidicta and Eusebio Tanawon. On June 6, 2010, she married David Bowe of Chippewa Falls, in the Philippines. In 2011, Paz joined her husband in the United States and they began their life together. While living in the Philippines, Paz worked in accounting. When she moved to Chippewa Falls, she got a job working at Menard’s Distribution Center where she was currently employed. 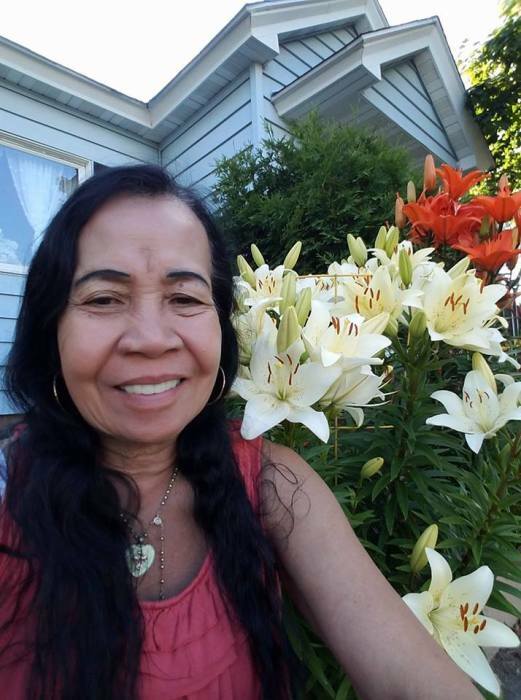 Paz loved flowers, working in her garden and listening to music. She is survived by her husband, David of Chippewa Falls; seven children, Tiffany, Dexter, Troy, Myra, Tyrone, Teizalera and Thrisiah; many siblings and other relatives all residing in the Philippines; stepchildren, Eric, Jason and Rhonda (Dean); step grandchildren, Alayna, Reilly, Aurora and Ravin; mother-in-law, Delores Bowe of Chippewa Falls; brothers-in-law, Tim (Sue) Bowe of Chippewa Falls, Michael “Steve” (Pam) Bowe of Eau Claire; sister-in-law, Pam (Dave) Roderfer of Colorado. She was preceded in death by her parents; and father-in-law, Melvin Bowe. A funeral service will be held at 2 p.m., Thursday, April 4 at Pederson-Volker Funeral Chapel, Chippewa Falls with Fr. Justin Kizewski of Holy Ghost Catholic Church officiating. Visitation will be from 12 p.m. until the time of service at 2 p.m. at the funeral chapel.